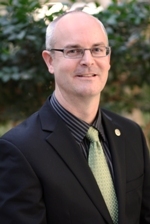 The Butte County Board of Supervisors consists of five members, each of whom is elected from the district in which he or she resides. Each Board member maintains an office within the district he or she represents. The term of office for Supervisors shall be four years and the Board elects a new Chair and Vice Chair at the first meeting in January of each year. The Butte County Board of Supervisors also serves as the Butte County Public Facilities Financing Corporation Board of Directors, the Thompson Flat Cemetery District Board of Trustees, and the Butte County In-Home Supportive Services Public Authority Board. 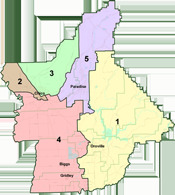 In addition, each Board of Supervisors member serves on the Butte County Association of Governments Board of Directors and the Butte County Air Quality Management District, both of which include elected representatives appointed by each of the five incorporated cities/town within Butte County.